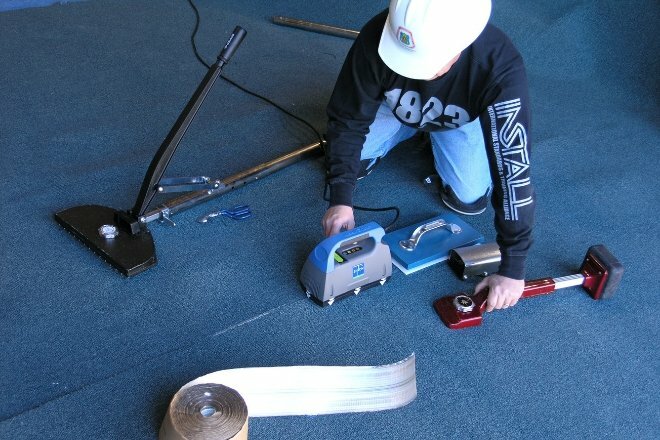 As the flooring industry’s most endorsed and specified training program, INSTALL continues to leverage long-standing manufacturer and contractor partnerships to raise the bar in quality and reliability. Its intensive training program, combined with the INSTALL Warranty on Labor, ensures that every job is professional, yielding exceptional results. With the addition of a new Warranty Contractor and three new industry partners to the INSTALL network, the organization continues to grow its reach and impact. Brydie Construction: The Brydie Commercial Flooring division has built a strong reputation within the St. Louis Commercial General Contractors, and specializes in Carpet & Tile, Ceramic & Stone, as well as resilient, wood and concrete flooring. Standing behind every IWC since 2013, INSTALL has underwritten over $400 million in flooring installations without a single claim filed, proving that INSTALL training is vital to the continued success of the industry. The INSTALL warranty is completely free and goes above and beyond the manufacturer’s warranty. Becoming an Alliance Partner assures manufacturers that products will be installed correctly every time. These partnerships are vital to the success of INSTALL’s training program by keeping installers trained on the latest technologies. INSTALL is currently partnered with more than 100 major mills and manufacturers. Its newest members are Novalis Innovative Flooring, Platform Performance Cements, APE Companies and Runyon Surface Prep. Novalis® Innovative Flooring: A manufacturer of Luxury Vinyl Tile for 30 years, Novalis has been a key leader in the industry by developing the highest manufacturing standards and sustainable practices to ensure a quality flooring product that is both kind to the environment and the installing contractor. Platform Performance Cements: The manufacturer of Synthecem™ Cement Technology, Platform Performance Cements set a new standard by combining a proprietary blend of carefully controlled cements and chemical admixtures to create outstanding stability, bond, and self-leveling characteristics. APE Companies: A service-oriented distributor of surface preparation, safety and environmental management products, APE Companies supply products to industrial contractors who provide critical services that maintain and repair facilities and equipment safely and quickly. Runyon Surface Prep Rental & Supply: A full-service sales and rental facility, Runyon Surface Prep provides diverse equipment, tooling, and materials for flooring installers as well as technical training on trowel polishing, concrete polishing surface preparation and concrete repair.